French: Cabézon toucan; German: Tukanbartvogel; Spanish: Capitán Tucán. Wet subtropical forest and montane tropical forest, secondary growth, and more open pastures with scattered fruiting trees. Usually in or around fruiting trees and bushes in groups of up to six birds, typically a territorial pair and their young. Relatively heavy, hopping about on branches or climbing up through low, tangled, bushy growth, from almost ground level to the high canopy. 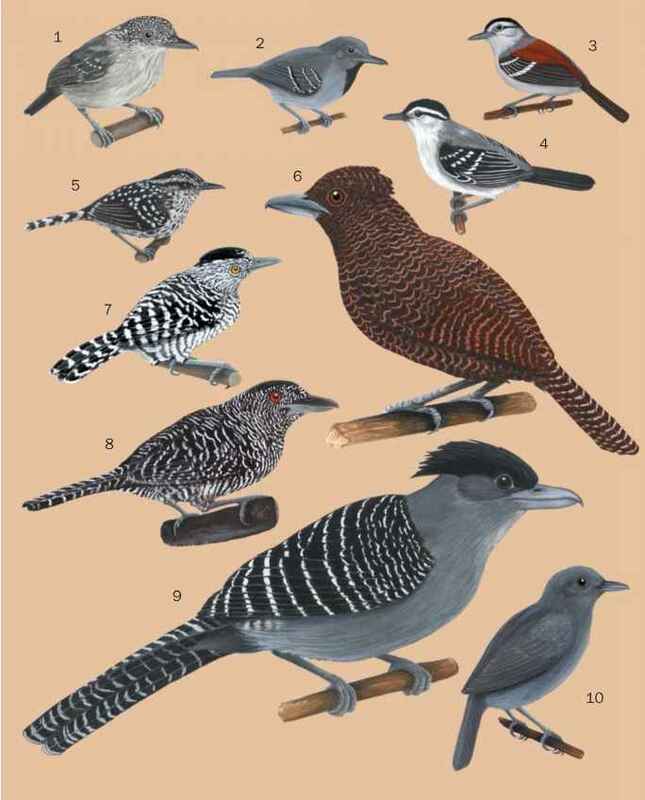 Sometimes associates with other species in small mixed groups if they pass through the territory. Sometimes perches still for long periods, remaining very inconspicuous. Mostly eats fruit, but takes many insects as well. Eats fruits of 62 species of plants, many of them typical of disturbed areas (only 11 of pristine forest); many of these are seasonal and insects and other invertebrates must be relied upon at times. May trespass into neighboring territories to reach fruiting trees if not challenged. Song is series of low, short, foghorn-like notes repeated for several minutes, often in duets, but these are simple simultaneous songs and not properly synchronized. Tail often cocked; this and many short calls help birds keep in touch in dense foliage. Territory established around roosting holes in dead tree; breeding pair then drives away older offspring and other adults from group, but some retain one or two helpers. Primary female remains near nest; number of eggs unknown; incubation about 15 days, mostly by male, but also by primary female and helpers. Young fed by pair and helpers, if present, for 43-46 days. Young beg for food for some time afterwards; if second brood is reared, young from first remain as helpers while still begging for food themselves at times. In next breeding season, these older young disperse to establish new groups while younger offspring remain. (20,000 square kilometers), but still common in parts of that small range; suffers from trapping and loss of habitat.